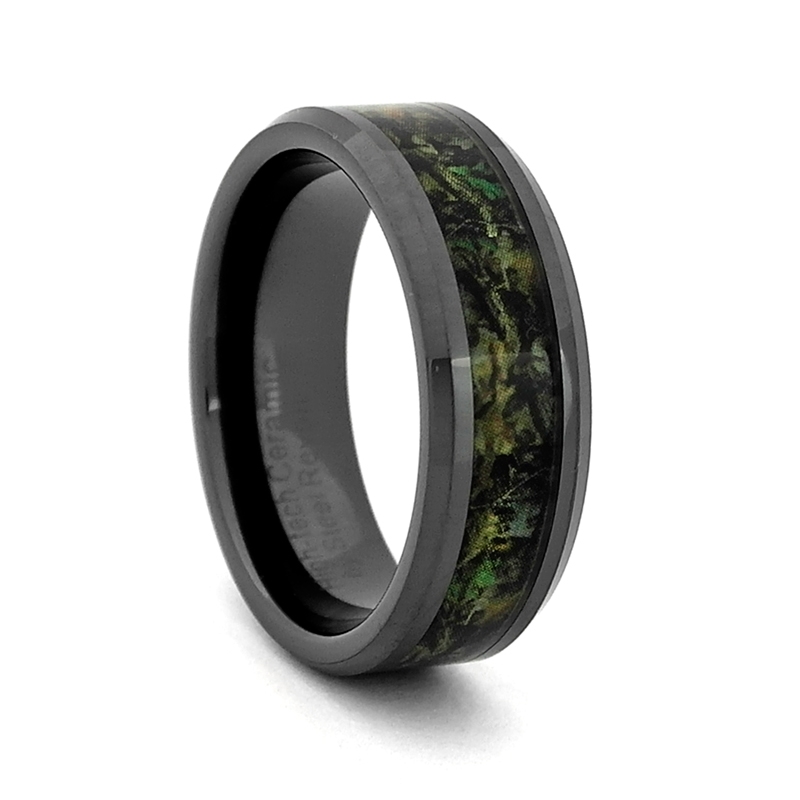 This elegant 8mm High-Tech Ceramic band with High Polish Beveled Edges and Camouflage Inlay is a perfect gift for a special occasion. High polish metal complements camouflage pattern for a one of a kind look. This style is a great fit for you if you are outdoors lover or simply want to show off your individuality.